Seed seller, garden blogger, student of horticulture, and all-around good egg. April 2018, a Month of Action! After work tonight my husband and I walked to the grocery store. 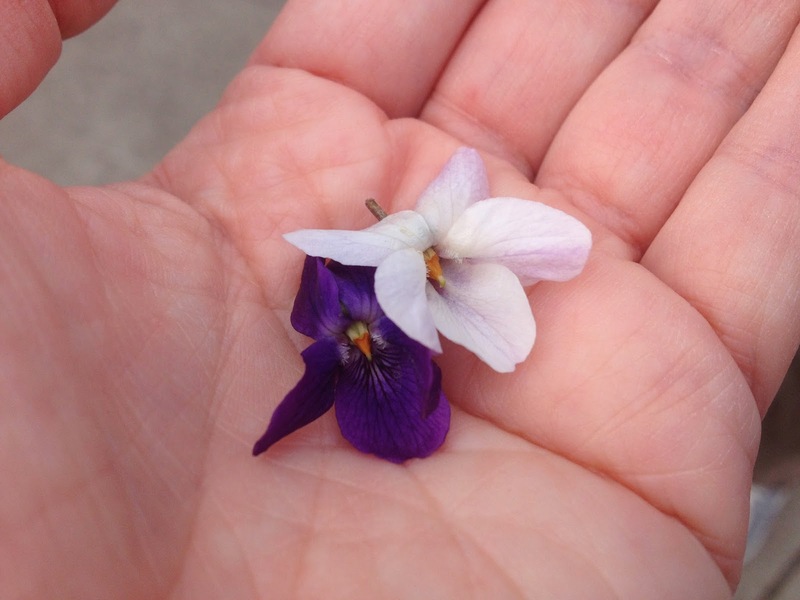 Along the way I plucked a few stray Viola odorata blooms and then cupped them in my left palm like small birds. From time to time—passing the halal markets and medical marijuana storefronts—I held my hand to my nose and drew in their scent. I instinctively wanted to bite into my violets because my brain recognized their sweet scent as a favorite candy. But I didn’t. Instead I walked along enjoying the moment thinking about how much I love plants—especially sensual plants. Here at home the seedlings are growing in their little pots and plugs. I’m keeping up with my planting schedule (for the most part) but I’m not certain if I’ll be able to finish things up before we leave for Italy. 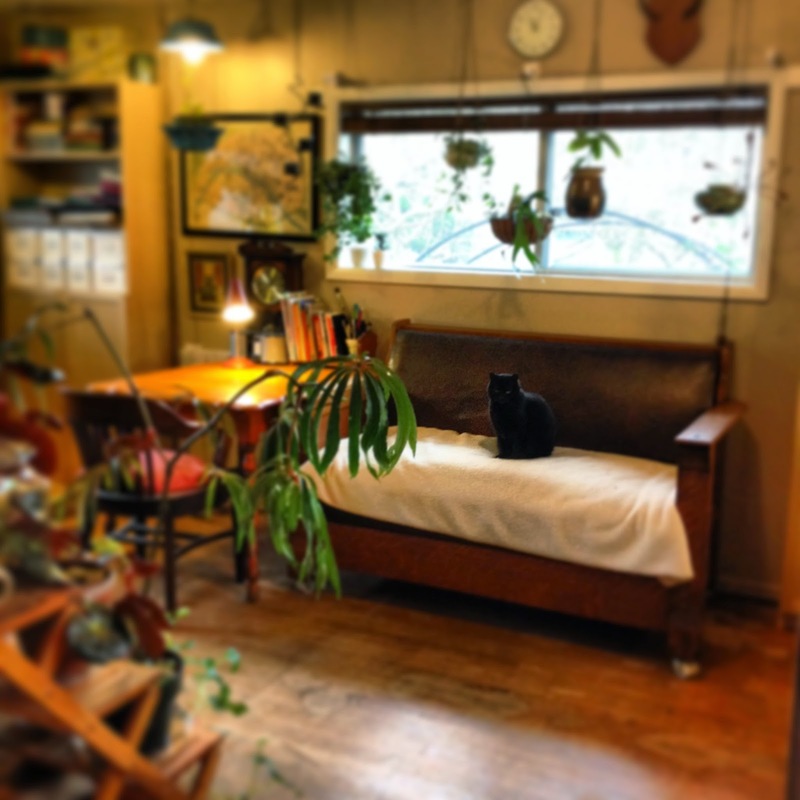 We have a housesitting plan, a cat sitter, and a seedling sitter. One of my favorite images from the Yard, Garden & Patio Show. I made it to the Yard, Garden & Patio Show a few weeks ago here in Portland. (I hadn’t been in years!) It was a fantastic experience and I hope to post pictures from it eventually, but I know, I’ve said that in the past. I mean it this time. It will happen. I will post the pictures. This pledge is happening because I’ve been taking my writing more seriously. Being paid to write is a wonderful thing. Thanks to being able to work at doing what I love, a recent goal I’ve acknowledged is to finally organize my photos. This will help me professionally too. I can’t wait to share them. The plant room has been cleaned out again—for what I hope will be the last time. It is looking better and better but there is still much work to do. 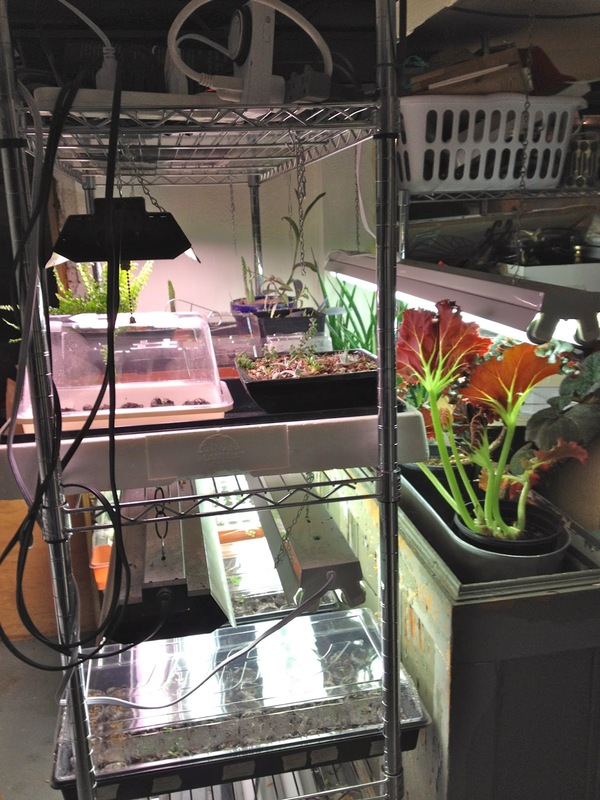 Last weekend the compact fluorescent light that has been keeping my plants alive for a few years popped and blew out. That’s one more unexpected garden expense that needs to be attended to but it’s worth it! That room is cheerful during the dreary and rainy months because of that light and those plants bring so much life into the dead of winter. This is probably the reason why Mona (the partially feral cat) lives in that room now. She’s always loved it back there but now it’s her room—at least that is until is warms up enough to be outside all day. Yesterday I made it outside for a bit. It was the first work I’d done in the garden in a long time. My health has not been great. I had a bad infection for several weeks last month but I toughed it out and am ok now. I’m amazed by how easily I lose my strength and conditioning. I feel strong when I exercise regularly and walk a lot but after a few months off I feel as though I have to begin all over again. Luckily, it’s worth it. The benefits of exercise for me are undeniable. Nothing makes chronic pain go away more than exercise. I guess it really is important to stay limber. Happy (early) St Patrick’s Day! Since I won’t be here again until after Monday I thought I’d leave you with this. I was born an Annie, and internally, I’ll always be a little redhead named Annie. 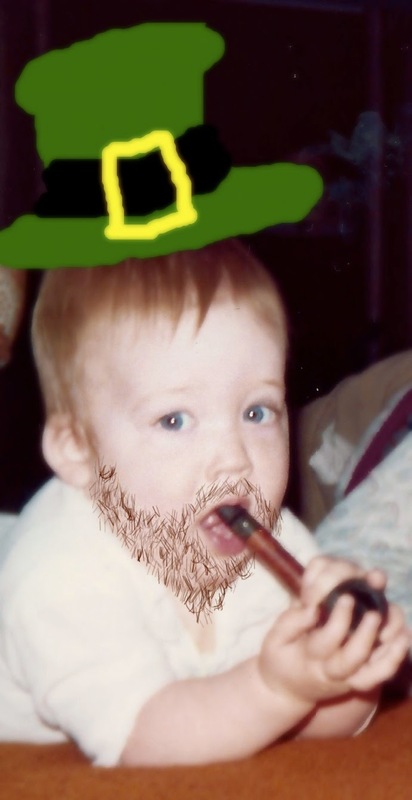 There’s just a wee bit of Irish in me, can you tell? And I do love the color green, now don’t I? 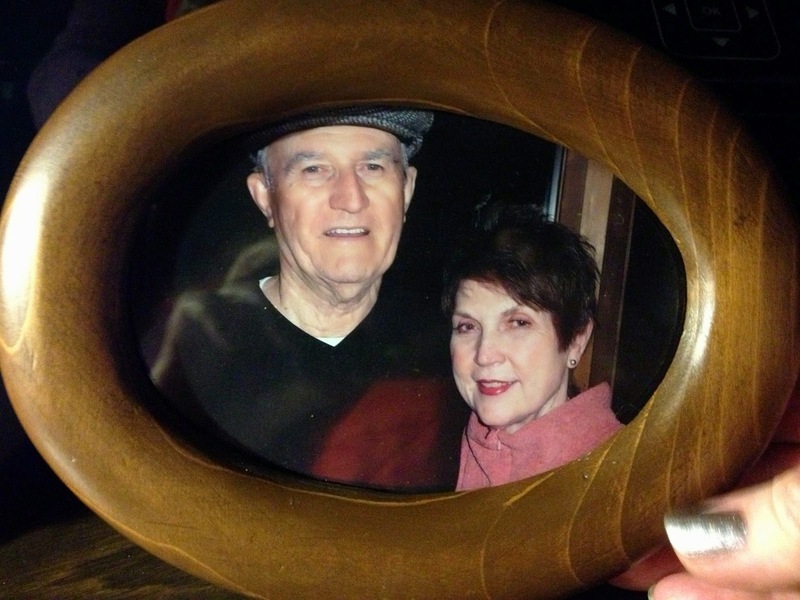 My mom with Father Brennan. I feel better when I exercise and eat right too, but it's so hard to persevere at it. Glad you're feeling better and got some time out in the garden. 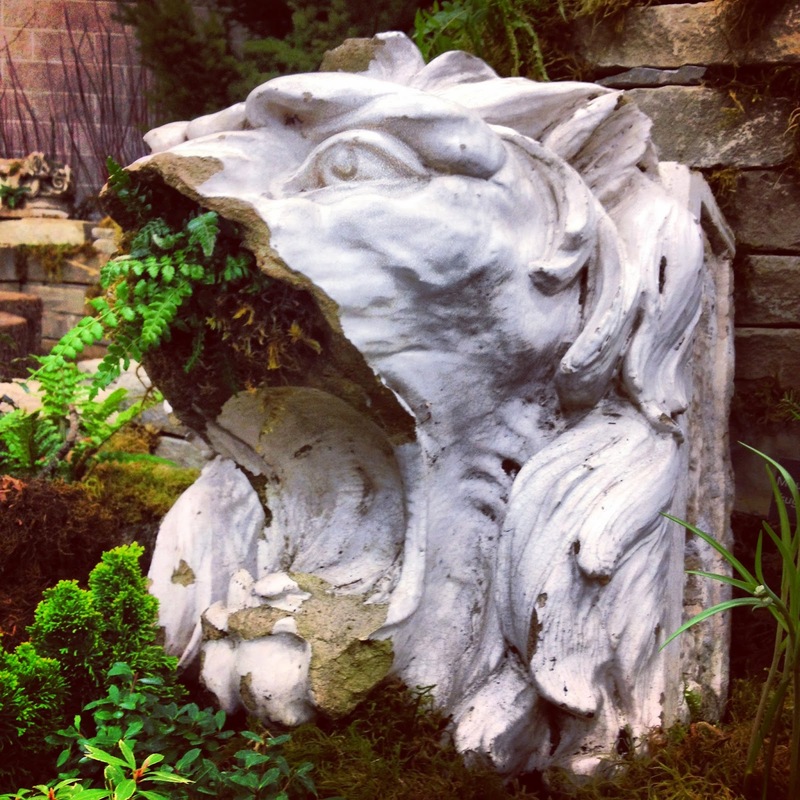 That architectural fragment of the lion with the fern sticking out of its nose kind of creeped me out when I saw it at the YGP show. It's such good medicine to get out in the garden, or even to work indoors on seeds and starts. 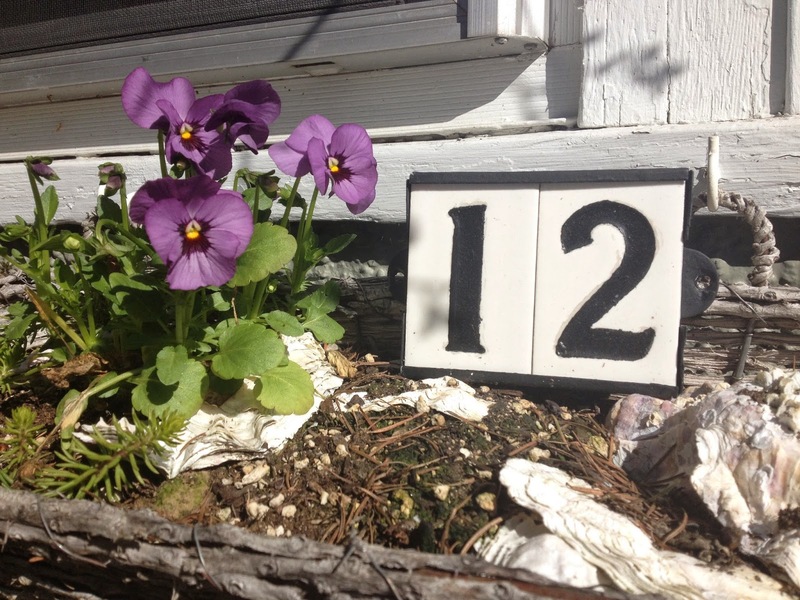 I know just how you feel about those little violet flowers – I've been seeing them all over town. Happy sunny day! Hope you have a blast on your vacation and look forward to your posts about it! Love your plant room!